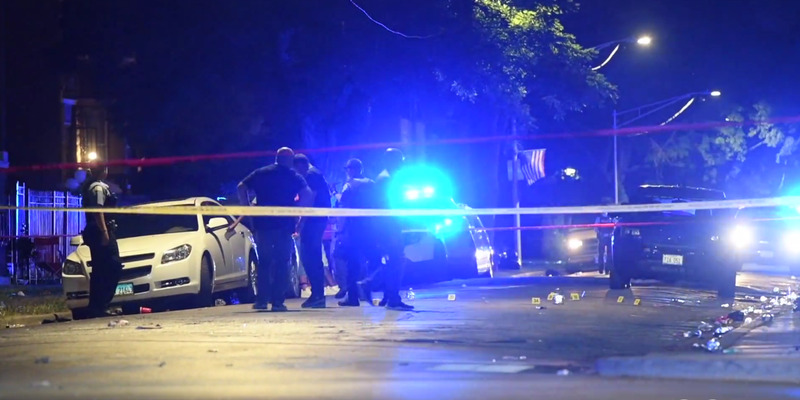 Screenshot/Chicago Sun-TimesChicago experienced one of the most violent weekends of the year. The comments come from a police officer outside of Stroger Hospital in Chicago, where people gathered after the city experienced one of the most violent weekends of the year. Eleven people were fatally shot and 63 more wounded between 3 p.m. Friday afternoon and 6 a.m. Monday morning. Thirty people were shot in a three-hour span early Sunday,according to the Chicago Sun-Times. Victims included a 17-year-old girl shot in the face, and four teenagers ranging from 11 to 17-years-old. 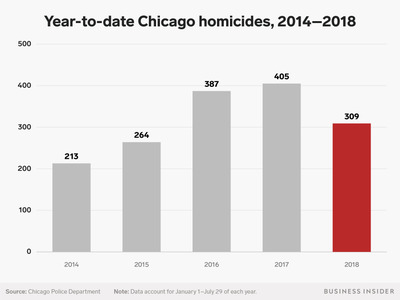 Among the major cities, the highest number of homicides in 2017 and 2016 were located in Chicago. As of Friday, at least 1,700 people were shot this year in the city, according to The Chicago Tribune. While Chicago’s homicide rate is high compared to other major cities, it saw a 14.7% decrease from 2016 to 2017. Police have attributed the decrease to improved technology and an effort to repair relationships with the community.